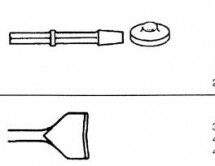 It is much lighter than a twist drill. It cuts the hole far faster. It produces a hole with much improved finish that helps prevent the emanation of fractures in the rail. The drill provides clean, accurately positioned, holes in all types of rail including manganese, and all rail sections for fishplates, bonds, stretcher plates etc. For drilling of holes smaller than the smallest broaching cutter (13mm dia.) a chuck can be fitted in the same way as a cutter, for use of twist drills. The drill is powered by a Honda 4-stroke petrol engine with internal protected fuel tank. 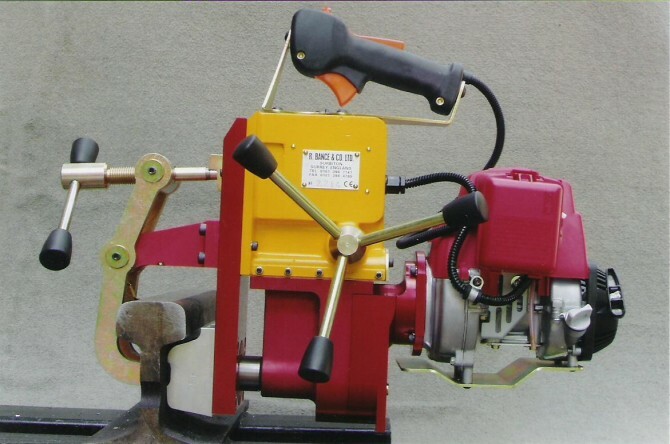 The totally enclosed cutter mechanism ensures operator safety. For clamping the drill onto the rail, a new quick release clamping system is used which facilitates use in confined spaces. Rail shoes are made specially to fit the rail to be drilled. Coolant Bottle – this is a pressurised coolant system designed to give maximum coolant and lubrication to prolong the life of the cutters, as well as ensuring a clean hole. The pressure is obtained by pumping a few times by hand prior to starting the cut. Storage Case – a hardwearing steel carrying case is provided for the protection of the drill and its components in transit. Indexing Plate – this is used to ensure the holes are drilled at exactly the right distance from the rail end on each occasion. It is made to suit the rail section to be drilled. 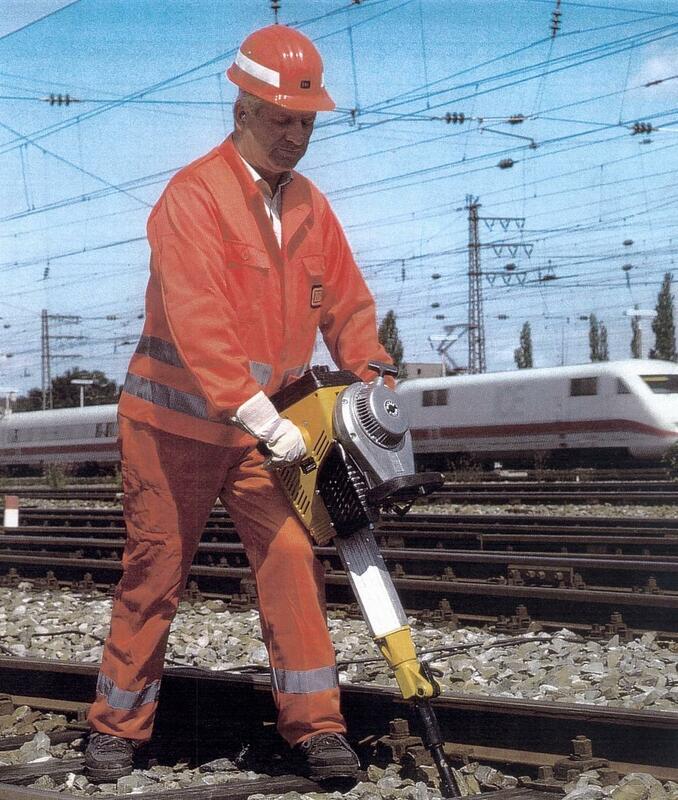 Rail Shoes – are made to suit the rail profile to be drilled. They ensure the holes are completely central and allow repeatability of the holes.